The young female chick is still at the nest site. Hopefully her first flight will be successful. 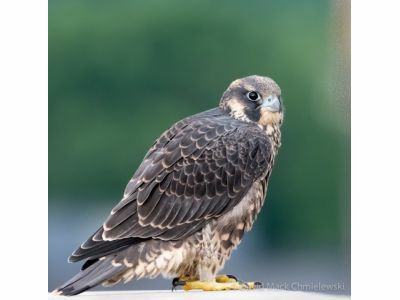 Interested volunteers are welcome to watch from the top of the parking ramp to witness her flight and track where she goes.